It’s another year, another older – but hey just enjoying life as it comes. This year has had its ups and downs but I have only grown wiser and wiser throughout the years. I’ve appreciated the small and big opportunities I’ve been given and am always feeling blessed and thankful for them. Thank you guys for following me on this wild and crazy journey – it’s like none other! 1) Travel: What better time than your birthday to travel - plan a short or long trip with friends or family to celebrate your day! 2) Head to the Beach: In LA, you don't have to have a summer birthday to do this one! The beach is great to throw a party or small get together because it's free and is very spacious - let your friends and family know you'll be headed to the beach and ask them to bring their own food and drinks for a day time celebration. 3) Pamper Yourself at the Spa: Now this is something you all should be doing! Get a facial, massage, or even schedule nail appointments - it's your birthday after all! My all time favorite spa here in Los Angeles is Burke Williams, I love heading there on a weekly basis (I wish) other than my birthday! 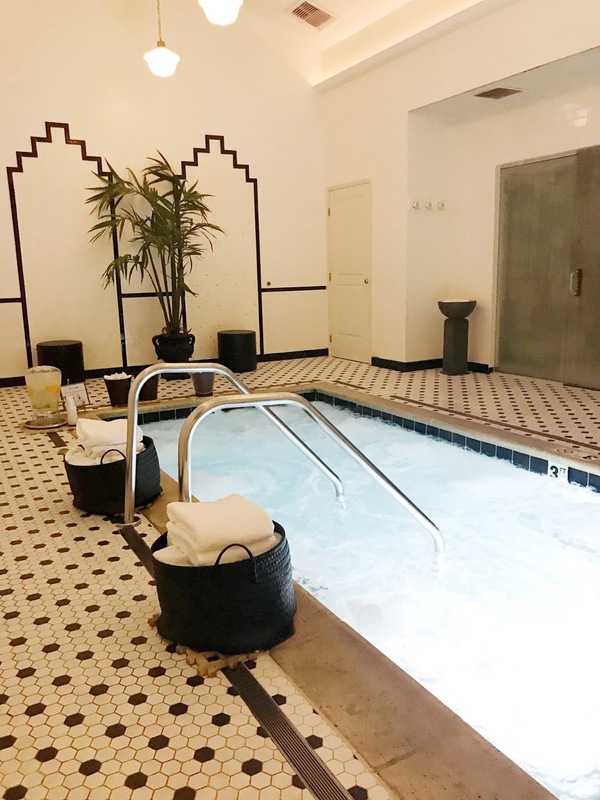 The spa features many amenities such as jacuzzi, steam room, and sauna, as well as a selection of spa treatments, massage, facial, nails, and even hair! I love this spa also because they have SO many different locations - no matter where you are, you can easily access one. I went to this spa recently with my friend to celebrate my birthday; we both were treated to amazing massages (which by the way I SO needed). It was definitely one of the highlights of my week. I typically always go to Burke Williams for my spa days and I always come out feeling extremely relaxed and refreshed! If you missed out on my previous visit, read here. 4) Head to the Magic Castle: One of the things I have always wanted to do while in Los Angeles is to visit the Magic Castle. The Magic Castle is a private 'members only' club, and in order to go you must have a membership or know someone that can take you. Luckily, one of my good friend's boss is a member and she had extra tickets to take us! I am a huge fan of magic (I know believe it or not) and so was my friend who was visiting! It was quite an experience, and you must try to go at least once while here! 5) Get a Blow Out: It's your birthday for Christ's sakes - go get pretty and have someone do your hair! :) Haha, personally I don't like when people do my hair - I am very particular but I had the opportunity to try out Drybar and they did a pretty decent job. I went for the "Old Fashioned," hairstyle, an old Hollywood take on S Waves, which was actually a look I was trying to go for that night! They don't only have Drybar locations in LA, check out the full list here. 6) Go to a Wine Tasting: There are many areas to wine taste here in LA; and I love it! The most popular area to do it is in Malibu! For my birthday this year, I had a few of my friends come meet me at the Rosenthal Wineries - I love it there because it's very chill and casual. You can bring your own food for a picnic, while sipping on their wines and listening to a local band play. Another popular winery in Malibu is Malibu Wines. 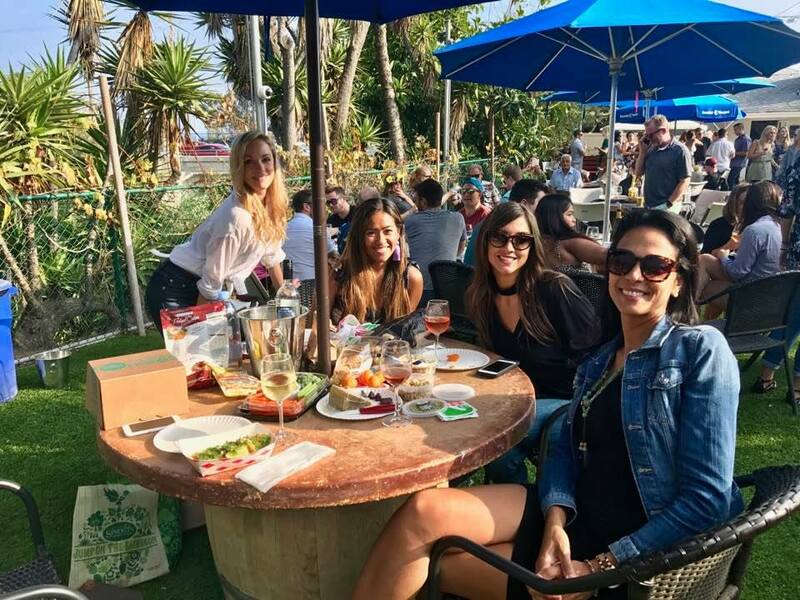 7) Grab a Drink at a Rooftop or Chic Lounge: Living in LA, there is no doubt you will find an outdoor bar or rooftop that you will fall in love with! Some of my favorites are: Shang-ri La in Santa Monica, EP and LP in West Hollywood, and Mama Shelter in Hollywood. 8) Take a Trip to Catalina: Catalina is a nice little getaway from the LA madness - and the best part is it's only one hour or so away! 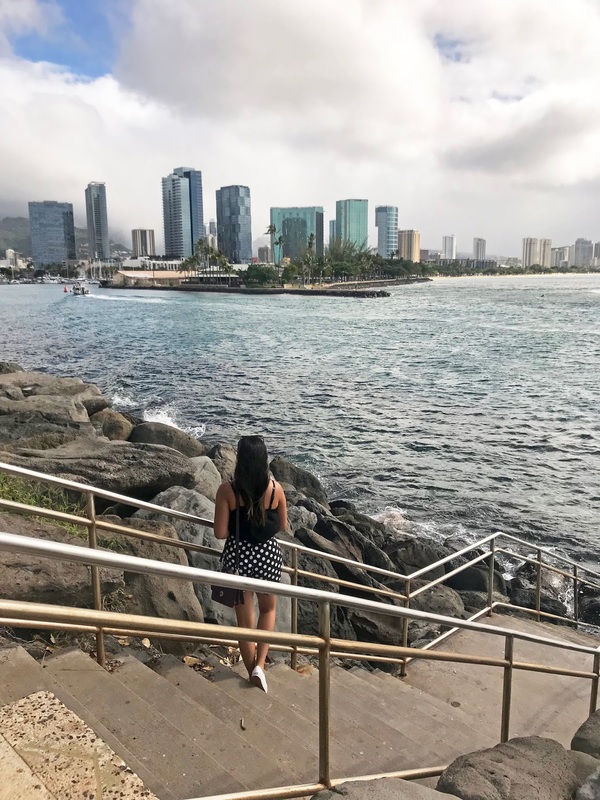 This island reminds me of a mini Mexico, the beach area is my absolute favorite - but what's awesome is there are countless outdoor activities you can choose from as well! 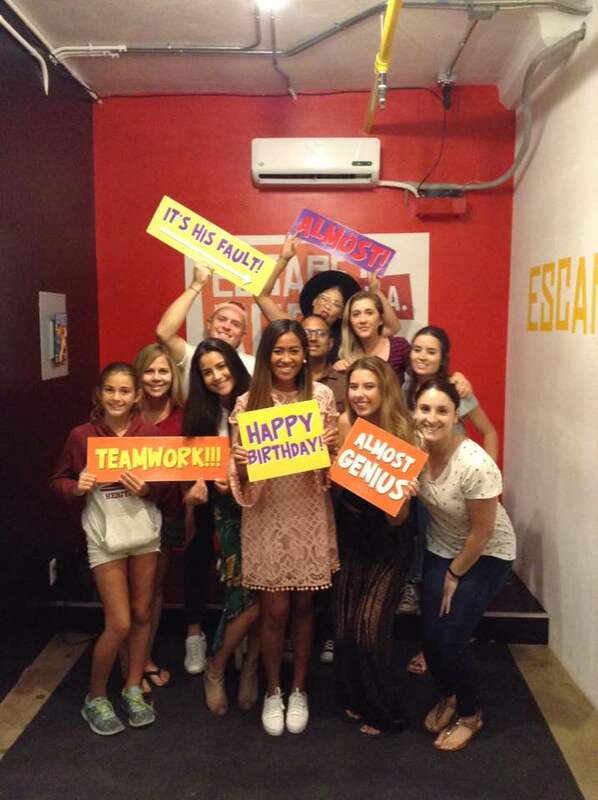 9) Go to an Escape Room: Let's be real - it's already hard to plan a trip with a big group so since your good friends (hopefully) plan on celebrating your birthday with you, why not go to an escape room! I did this for my birthday and it was so much fun! I have been wanting to go to one for so long, and though we did not make it out of the room, it was definitely a fun experience! 10) Indulge in DESSERT: After all - lol it's your BIRTHDAY! Ha, no really though, what day should you not care if at all to stuff your face with dessert is your birthday! Cakes, cookies, brownies, you name it. You can have it all! And nobody will judge you!